Asthmatic children are at risk of compromised health-related quality of life (HRQOL) compared with their healthy peers. This systematic review reports the range and effectiveness of psychosocial interventions designed to improve HRQOL amongst asthmatic children, adolescents, and their families. Data sources included The Cochrane Airways Group Trials Register of trials, PubMed database, and reference lists from review articles. Eighteen studies of psychosocial interventions were identified. Interventions were designed to improve HRQOL amongst a range of psychosocial, health care, school-related and clinical outcomes, and were delivered in numerous settings and formats. Four studies reported that interventions were effective for significant improvements in child overall HRQOL scores. These include asthma education (n = 2), asthma education plus problem solving (n = 1), and art therapy (n = 1). Most interventions focussed on the delivery of asthma education to children, with the purpose of improving knowledge about asthma and disease management. There is limited evidence to suggest that interventions currently available are effective for significantly improving HRQOL amongst asthmatic children, adolescents, and their families. Most interventions lacked a theoretical basis and did not focus on family functioning variables. Multi-component interventions that incorporate asthma education along with strategies to assist families with implementing behaviour change towards improved asthma management are required. Future interventions should also attempt to address the wider context of family functioning likely to contribute to the family’s ability to engage in successful asthma management in order to improve HRQOL. Asthma UK. (2010). Where do we stand? Asthma in the UK today. http://www.asthma.org.uk/document.rm?id=18. Accessed 19 Nov 2010. Boyd, L., Lasserson, T. J., McKean, M. C., Gibson, P. G., Ducharme, F. M., & Haby, M. (2009). 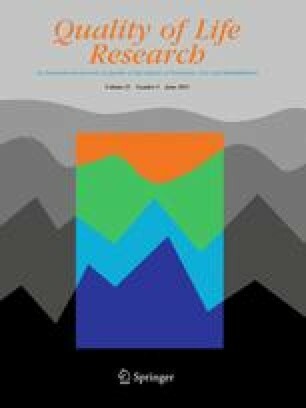 Interventions for educating children who are at risk of asthma-related emergency department attendance (Review). The Cochrane collaboration. Wiley. [http://onlinelibrary.wiley.com/o/cochrane/clsysrev/articles/CD001290/frame.html]. Accessed 19 Oct 2010. NHS CRD Report No. 5. (2009). [http://www.york.ac.uk/inst/crd/SysRev/!SSL!/WebHelp/SysRev3.htm] Accessed 1 Oct 2010.